The increasing concerns about ‘food security’ for the UK, alongside dwindling public investment in fisheries research has led some to question how we can meet future knowledge needs to sustainably manage our seas. Scientists at Bangor University's School of Ocean Sciences argue that despite their economic importance to the UK fisheries sector, not enough is known about scallop fisheries in the UK. 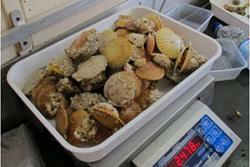 Each year in the UK 58,000 tonnes of scallops are caught which are worth £69m at first sale alone. The retail and restaurant value is significantly greater. Bangor University has hosted a 3 year PhD study of the English Channel scallop fishery to help plug the science gap in a project funded by a consortium of fish processors, fishing companies, the supermarket Morrisons and the charity Fishmonger’s Hall. Mark Greet the Chief Executive of Falfish Ltd. who is one of the key sponsors of the project said: “An unsustainable scallop fishery is bad for business and we were being held back by a lack of science on this fishery. The long-term aim is to put the fishery forward for Marine Stewardship Council certification. “While this may be some way off, the project puts in place many of the key elements needed and we now know far more about scallops in the English Channel as a result of Bangor University’s science. “We now better understand the distribution of scallop fishing across the English Channel and the specific habitat types in which scallop fishing occurs. 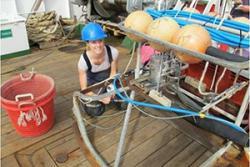 We also have better insights into when and where the scallops spawn at different times of the year. 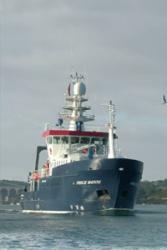 PhD student Claire Szostek said: “This project has depended heavily on the support of individual fishermen along the English Channel who have accommodated me on their boats and allowed me to study their catches.